One of America’s top research universities, the University of Miami is a vibrant and diverse academic community focused on teaching, learning and service, and the discovery of new knowledge. Famous alumni include Dwayne Johnson, Gloria Estefan, and Alex Rodriguez. The campus is one of South Florida’s prime destinations for a rich variety of cultural offerings, and home to the University’s celebrated intercollegiate athletics program. South Florida’s subtropical climate and attractions make it a unique place to visit and explore. 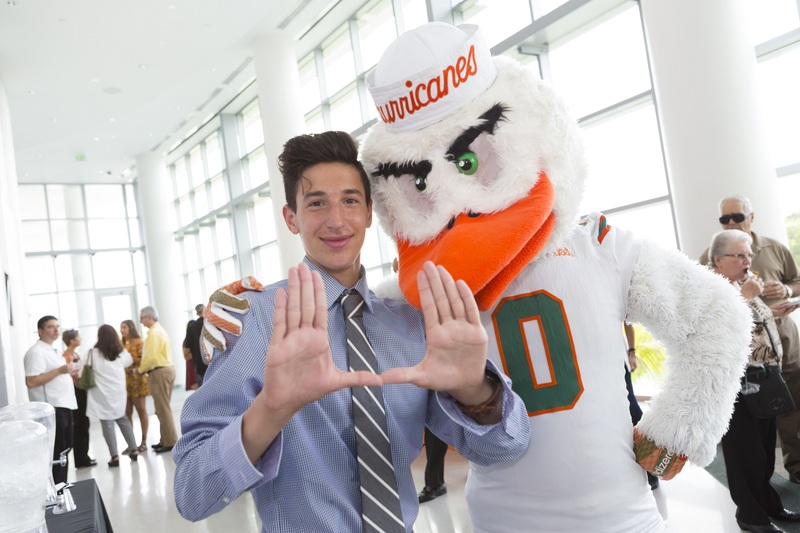 Summer pre-college programs at the University of Miami help you prepare for your transition from high school to college. Their pre-college programs combine academics, athletics, and activities to give high school students a great introduction to college life. There’s a lot going on at the University of Miami. Dive in head first and get the full experience of what a day in the life of a U Miami student is like. 8.00am Roll out of bed and head to the dining hall where you can enjoy eggs, pastries, fruit, and more on your way to class. 8.30am Grab your notebook and pen (or your lab coat) and don’t be late for class. 11.30am What’s one great thing about college? Long lunch breaks. Grab lunch with friends, catch up on homework, or workout at the gym. 1.00pm Back to class, but not always in the classroom. Many classes have afternoon labs or take field trips around U Miami to museums and local businesses. 4.00pm Your summer, your way. Sign up for the activities you want to do. Choose from swimming, sports, shopping, study sessions, and more. 6.00pm Dinner time. Enjoy the unlimited portions at the dining hall. 7.00pm Movies. Karaoke Night. Major league sports. You will never forget the memories you make with your friends at U Miami. 9.00pm Enjoy a pizza, watch a movie, or play board games in the lounge. After a full day, it’s nice to relax with friends. You must arrive and depart on the specified arrival and departure days only. There are no rooms available at our residence hall outside of the dates of the program. Summer Discovery provides escorted transfers from/to Miami International Airport (MIA). We meet you at baggage claim or outside customs for international flights, and assist with your departure. Residential tuition includes: Term fees, academic programs, laundry, use of facilities, housing, linens, 3 meals daily while on campus, recreation pass, activities and trips, airport transfers. Not included: Application fee, airfare, meals eaten off campus, medical expenses, souvenirs, and personal spending money. Commuter tuition includes: Commuter students join the program Monday-Friday to attend classes, eat lunch on campus, enjoy access to the fitness center, and take part in evening and weekend activities. No overnight stays are permitted.